I need to get my hands on this new palette in Sand! 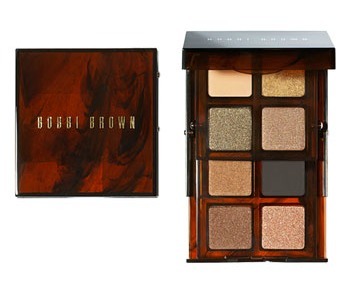 Bobbi Brown eye shadows run $20 individually, so this a great value and way to try out new shades. And hello, what a great case. If you are looking for tortoise shades Ray Ban has a great selection. After seeing a bunch of celebs wearing the Cats 5000 last year I had to have them. So versatile! A couple of tortoise pieces that I would love to have in my wardrobe. Do you have any tortoise favorites? 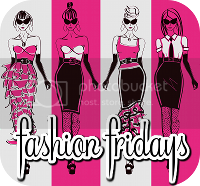 Be sure to visit Kori at Blonde Episodes for more Fashion Fridays! I love all things tortoise as well! Espcially that MK watch and that dress.. I have never seen straps on a dress like that ! Thanks for stopping by!! I love your blog! I think I need that Milly dress! I love tortoise. It goes with so many things! My RayBans are tortoise and I wear them every day. Yummy - love that dress and watch! New to your site and loving it. I live in MA so your regular vacation destination is near and dear to my heart. I want to try that new Bobbi Brown kit. I am very pale with brown eyes and her colors tend to do well with me. Not too harsh. I am a fan of tortoise. Black or brown outfit, they blend nicely. I have a pair of Ralph Lauren tortoise cat eye sunglasses that I LOVE! It is such a versatile and classic material for just about anything! I'm a bobbi brown fanatic and just ordered that. So cute! I love it because it matches with everything! I've never seen that watch before! I love! I need that watch!! Have a great weekend! Ooooh La La. If I could just have everything on this page I would be a very, very happy girl. For some readson Tortoise is the perfect summer pattern. I almost bought the tortoise watch but ended up going with the silver one instead. I'm still wondering if I made the right choice! I have a pair of CK sunglasses for 11 years that are still my favorites. And I bought the Fossil tortoise shell watch a couple months ago and love it. I love tortoise shell everything! I love tortoise shell. I am currently service for the perfect pair of tortoise sunglasses. P.S. We are having a giveaway on your blog. Check it out and enter. 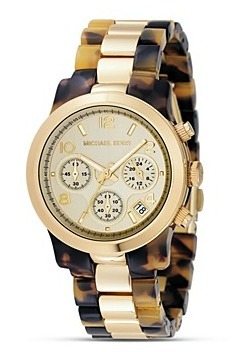 Love the blog, I so want a tortise Michael Kors watch :). New blogger, follower here. If you have time please check mine out. I am loving the tortoise look! Especially that compact! How adorable! and of course that watch is great too!! wow how chic is that watch! I am absolutely loving it! 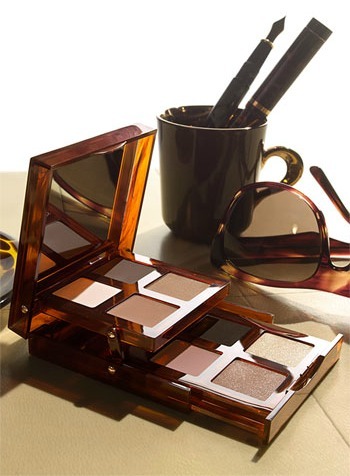 Ooo love the Bobbi Brown compact! How cute is that?! Love the Bobbi Brown & Michael Kors watch! If I had some extra cash I would most definitely splurge! I am a recent fan of tortoise as well! i LOVE the ray bans and the watch! Actually.. I love it all! Um...love those shades! So cute! Perfect for being at the pool or beach! I have a pair of ray ban aviators with the metal frame and man do they get hot!